Oh wow, if you’ve clicked on this then you’re on your way to being a wonderful human being by supporting our lovely little charity. There are a number of ways that you can donate to us, and if there’s a current project that you want to make sure your hard earned cash is supporting, you only need to ask. Just get in contact to let us know- we’d love to chat to you! Those Wonderful (ahem) people at Wonderful.org host our fundraising pages. Just click here to go straight to our page and see the amazing fundraising challenges that are being tackled for us. 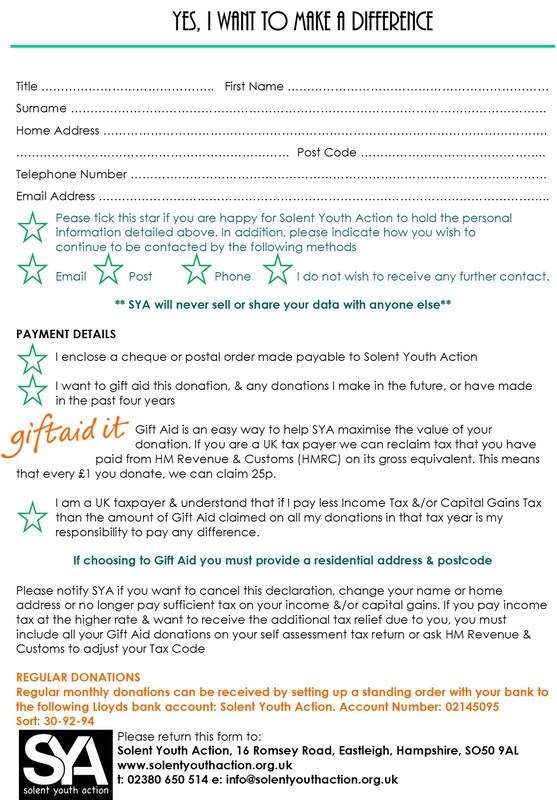 Thanks to those clever boys and girls at HMRC, you can gift aid your donation (adding an extra 25p for every £1 you donate) if you’re a UK Tax payer. Just print the picture below and send it to us with your cheque or add the reference number to the form if you provide us a donation via your bank.